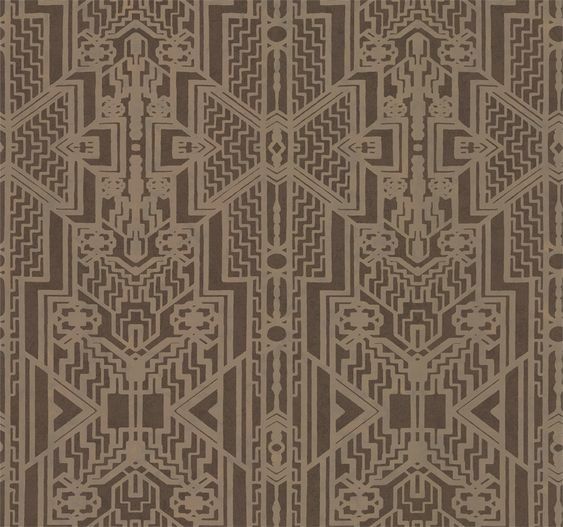 Drawing on the international glamour of 1930s Manhattan, a warm palette of creams and browns is embellished with exotic touches - such as zebra-print flock or beaded geometric patterns - celebrating an era of sleek sophistication and opulent luxury. 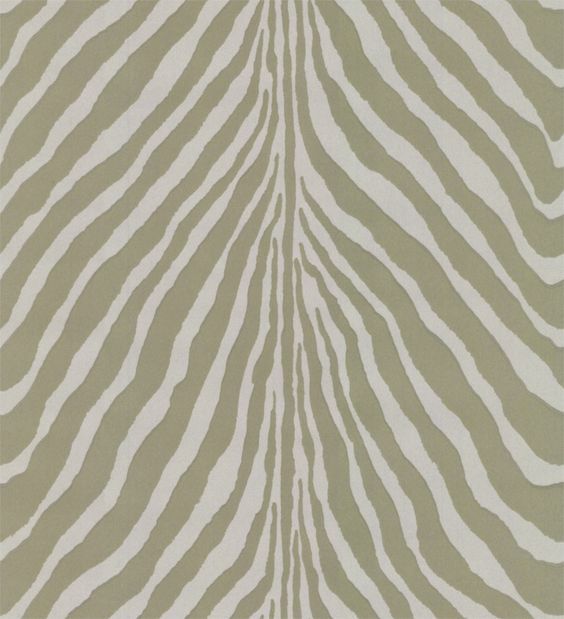 Zebra print rendered in cream flock set against a finely stippled silver background. 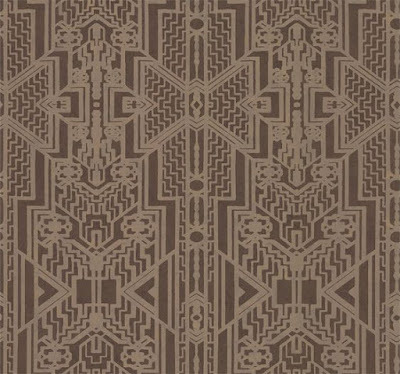 A pale bronze elegant geometric fretwork design set against a rich chocolate brown background. 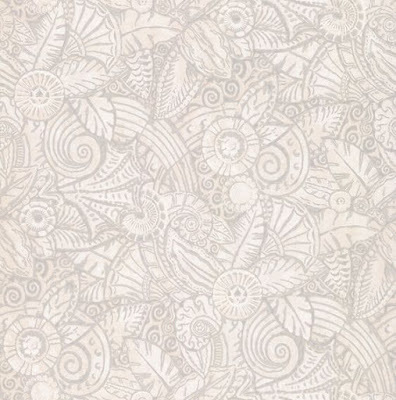 This arching palm leaves design is gravure printed in soft metallic colours on non-woven backing. 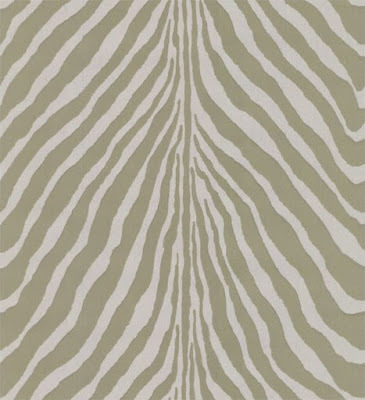 Shown here in pearl grey colourway. 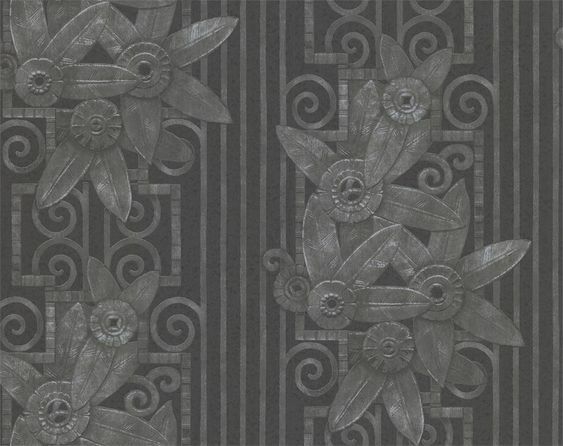 Inspired by Art Déco metalwork, this gravure printed non-woven paper makes a dramatic feature wall. 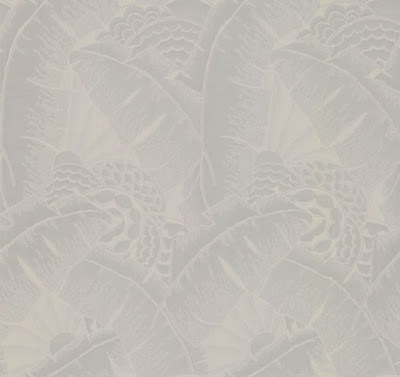 Shown here in charcoal colourway. 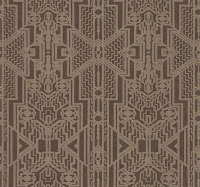 Geometric diamond designs fashioned from lines of tiny light-reflecting beads set against a finely stippled metallic bronze background. 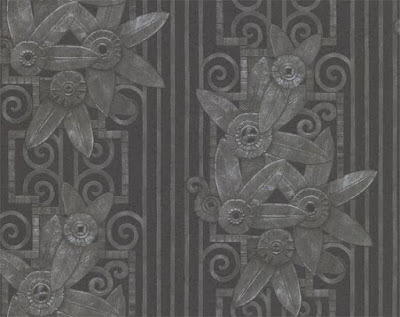 Inspired by the Art Deco architectural stone work found around Manhattan, this pattern echoes the era with its use of stylised floral motifs and angular geometrics. 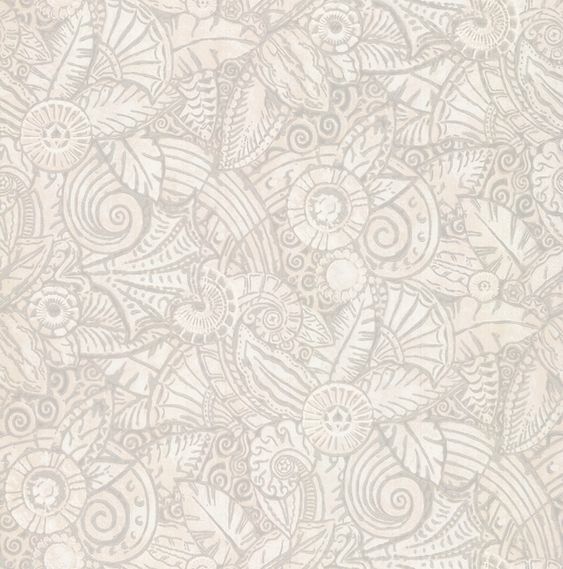 This design is surface printed giving it a rich texture. Shown here in pearl grey colourway.